Share what’s really going on. In a mentorship relationship, intimacy is a big risk, but it is also a direct path to reward. I recommend bringing your genuine self to each interaction. When seeking advice, don’t waste time humble bragging – put your genuine challenges out to be explored and possibly resolved. When giving advice, don’t hide the truth of your struggles to make it seem like a tough journey was easy. Greater lessons can be taught from challenges than from easy wins. Vulnerability is not easy, and it takes a lot of trust in the mentorship relationship to put yourself out there. So, take your time, but eventually, for the mentorship to add value, you need to have an open exchange. Different mentorship relationships exist and knowing the boundaries and expectations in your particular situation will help it be as effective as possible. As a mentee, do you want help with finding your next position, or are you looking for advice with less active engagement in your career? As a mentor, do you have time for a weekly lunch, or do you need to limit your time to monthly phone calls? There are no wrong answers, but it is important for trust and communication to include clear rules of the road. One best practice is to set a timeframe for your work together and a mutually agreed upon definition of what success looks like. Mentors, in particular, should remember that there are plenty of ways that a mentee can get negative feedback – not the least of which comes from within the organization or just inside their own head. Growth can come from any interaction, but a positive and constructive approach to teaching and guiding will increase trust and make for a lasting, deeper impact on your mentee. Mentees should also consider the benefits of framing challenges in the most positive light – as learning opportunities and new possibilities. This gives your mentor a springboard to guide you rather than having to unpack the problem to get past the negative to find kernels for growth. Do you know what your mentee’s actual needs are? Does your mentor understand your current situation? As we grow closer in our mentorship relationship, we can make assumptions about the other person that can impede the benefits. This goes equally for assuming that we are getting something wrong. A mentor may cancel a meeting for purely personal reasons, and it does not signal some dissatisfaction with you. A mentee may be non-committal about a word of advice because they need time to process the issue, not because the advice is bad. Ask the follow-up questions, check your biases, and make a point to keep an open dialogue so that you get the most out of the relationship. In a mentor relationship finding common ground is so important that we sometimes pay attention to the other person only to find that commonality instead of listening deeply to what the person is truly saying. When having a mentorship conversation, practice active listening skills and focus on the other person in the conversation instead of yourself. There will be ample time to digest and relate the wisdom and information you obtain to your own situation, but the mentorship conversation should be spent trying to absorb as much as possible. Interrupting the flow of information and knowledge by interjecting your own thoughts and opinions reduces the potential benefit to both of you. 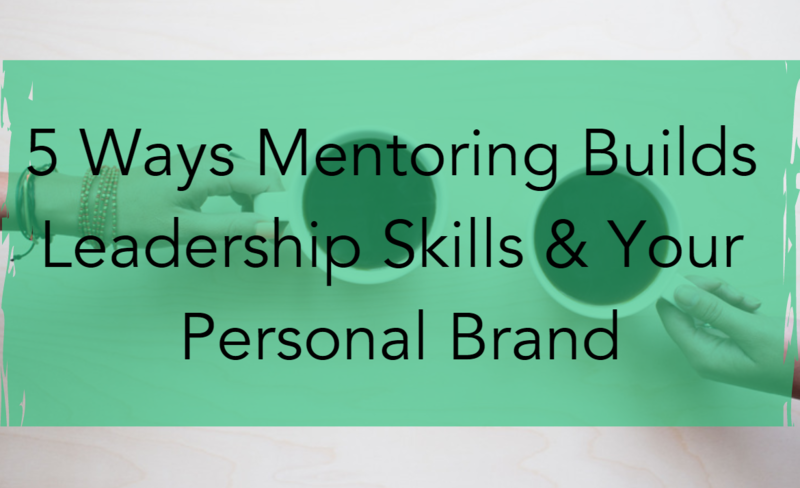 For mentors, jumping in with your own experiences or opinions may cause you to miss an important part of the communication from your mentee. You may think you grasp the situation, but careful listening is the only way to truly be certain your guidance is on point. The mentorship relationship rewards both people in many ways. Being intentional and strategic in how you manage your interactions can only increase the benefit. For both mentors and mentees, paying attention to these simple rules can be transformative. Jen Dalton, CEO of BrandMirror, has over 15 years of experience in strategy, marketing, and coaching. In 2012, she made a gutsy move into the entrepreneurship space, launching her branding business and became a certified master personal branding strategist. She specializes in building your digital thought leadership on LinkedIn and other social media. You can find her bestselling book, The Intentional Entrepreneur, on Amazon, which highlights how business owners can leverage their personal brand to grow their business faster.